The 2019 Ranger makes an online splash. Updated Dec. 12, 2018, reflecting newly released performance details. 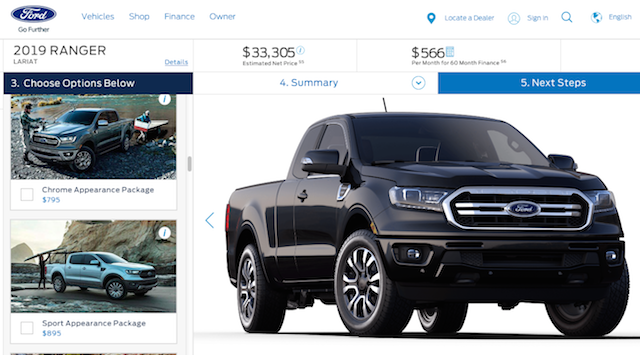 You can build a 2019 Ford Ranger today using the automaker’s configurator. The wait is nearly over. For the all-new Ford Ranger, that is. After an eight-year hiatus, the 2019 Ford Ranger is set to return. Indeed, this week Ford opened the online order book, which allows customers to configure a new Ranger on the dealer’s website or through the Ford retail site. That moved revealed several things about the new model, although a few details remain unknown. 1. It is larger than the model it replaces. This isn’t new information, rather it simply underscores what Ford told us early on: the new Ranger is larger than the previous model. 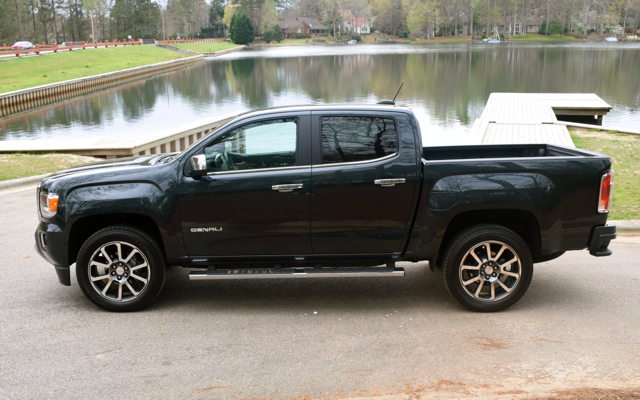 Importantly, instead of matching up with the small pickup trucks of the past, the new model is ideally suited to take on the Chevrolet Colorado, Toyota Tacoma, GMC Canyon and the Nissan Frontier. Its arrival comes just ahead of the all-new Jeep Scrambler. Next year, a Ford Bronco SUV variant debuts. 2. You’ll find one powertrain combination. Whereas the big Ford F-150 has multiple powertrain combinations, the 2019 Ranger has just one. At least for now. Powering every model is a turbocharged 2.3-liter four-cylinder engine. It works with a 10-speed automatic transmission. This engine makes 270 horsepower and 310 pound-feet of torque. Notably, the Ranger 4×2 makes an EPA-estimated 21 mpg in the city and 26 mpg on the highway, for a combined 23 mpg. The four-wheel-drive model is rated 20/24 or 22 mpg combined. These numbers are tops amongst gas-powered models in the segment. The maximum towing capacity is 7,500 pounds, which beats each gas-powered competitor. 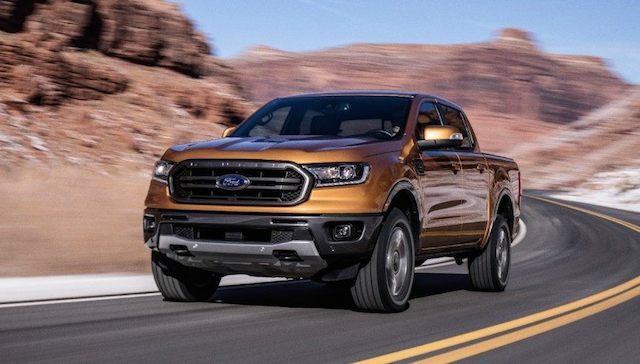 The 2019 Ford Ranger is available in two cab sizes and three trims. 3. There are two cab choices available. To the disappointment of some, but probably only for a small number, the 2019 Ranger will not offer a regular cab model. This isn’t surprising as the market long ago abandoned two-door pickup trucks. Instead, you’ll find an extended or SuperCab and SuperCrew choices available, with room for as many as five individuals. Now I cannot tell you that five people will fit in comfort, especially if you’re looking at work crew type individuals. Families, however, will likely gravitate to the SuperCrew for its roominess alone. 4. You have a choice of two bed sizes. Depending on the cab size chosen, you’ll find two bed choices. All SuperCab models have a six-foot bed, while all SuperCrew models come with a five-foot bed. Rumors of an eight-foot bed option are just that. Rumors. 5. There are three trims to start. Talk of a Ford Ranger Raptor is just that. Talk. At least for the U.S. market. Yes, there is a Raptor in the Ranger fold, but it isn’t available in North America at this time. Instead, buyers will choose from three trims: XL ($25,395), XLT ($29,035) and Lariat ($33,305). These prices are based on the standard SuperCab 4×2 model and include a $1,095 destination fee. Start with the SuperCrew and you’ll add $2,220 to your price. Opting for four-wheel drive adds $4,160. We expect additional trims to roll out in the future, including an off-road romping and stomping Raptor. Cloth seats are standard; leather seats are available. 6. It comes with a long list of standard features. There isn’t a stripped 2019 Ranger to be had. Sure, the amenities list grows as you work your way up the trim and package chain, but the base model is certainly a decent place to start shopping. Among the standard items are automatic headlamps, a pair of front tow hooks on four-wheel-drive models, 16-inch steel wheels, a cargo lamp and four cargo bed tie downs. Inside, this model has power windows, cloth seats, air conditioning and a four-speaker audio package. You’ll also find a pre-collision assist system with automatic emergency braking, pedestrian detection, forward collision warning and brake support. Other trims will have such features as heated front seats, leather-trimmed seats, dual-zone climate control and additional power accessories. Then again, as the next section indicates, many of these items will be bundled in a package for lower trim models. 7. Yes, we have packages! 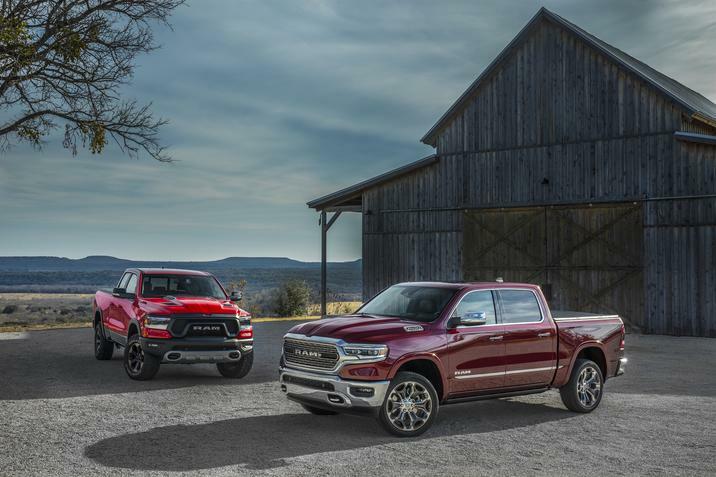 Pickup truck models allow for much customization and the 2019 Ranger is no exception. If you have ever built a Ford F-150, you know that there are millions of ways to craft one. The Ranger will be a bit easier, but it does offer package options that are worth exploring. On the base model, the 101A Package ($1,135) adds power mirrors, SYNC connectivity, a Wi-Fi hotspot and a six-speaker audio system. The 301A Package ($995), which is available with the XLT, brings in SYNC 3 infotainment with satellite radio and a leather-wrapped steering wheel and shifter. A 302A Package builds on this, adding power-controlled and heated front seats with lumbar support, sport appearance touches, a manual sliding rear window and remote start. Although the Lariat comes well equipped, there are a few upgrades of note. For instance, the 501A Package ($1,795) brings in the Technology Package and remote start along with rain-sensing wipers and a Bang & Olufsen audio system. Like elsewhere, you’ll find trailer tow, sport appearance and chrome appearance packages. The SuperCab model has a 6-foot bed; the SuperCrew comes with a 5-foot bed. Have fun building your sample Ranger. With the performance numbers now in, you have enough details to compare this model with the competition. See Also — Return of the Ford Ranger? 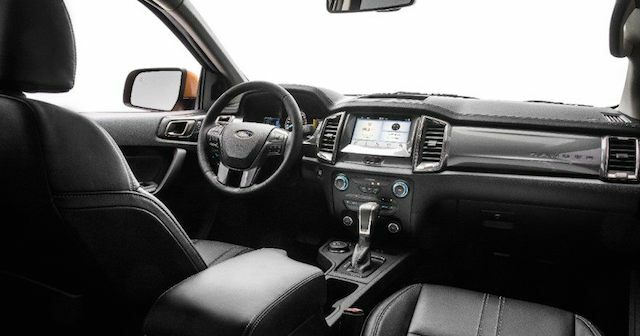 All photos and the configurator screenshot are courtesy of the Ford Motor Company.